You may have a phone or email consultation to answer any questions. A Wedding Worksheet and Performance Agreement are available through email or postal mail. Music samples are online, or available on CD. A deposit and performance agreement are required to reserve the date and payment is due one month in advance of the event. I arrive an hour before the ceremony. 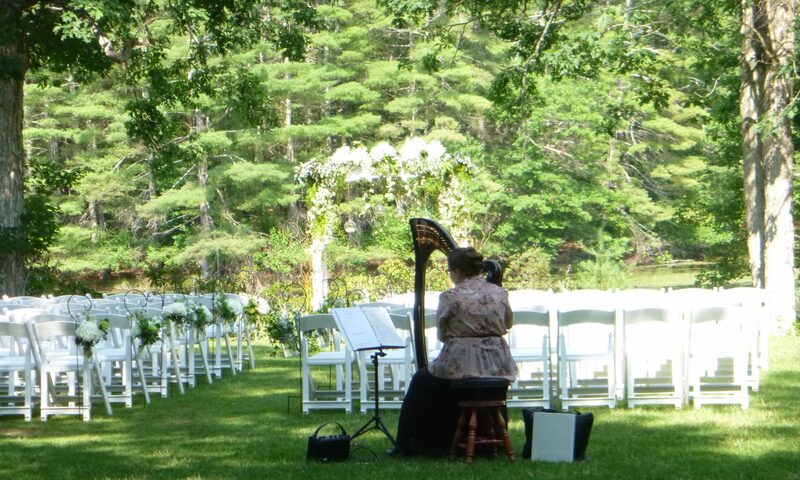 I begin playing Prelude music a half hour before the ceremony. This usually includes light Classical and Celtic music that’s joyful and appropriate for weddings. I play music at appropriate times during the ceremony. Processional music may include a separate piece for the seating of the parents and/or grandparents, a separate piece for attendants, and a primary processional. During the ceremony I may play for your candle lighting, sand pouring or meditation. Recessional music is joyful music that is played at the conclusion of the wedding ceremony. I usually do not perform an extended “Postlude” after the wedding ceremony. If you would like to book a cocktail hour with your wedding, this service is also available.